That’s how many employees the County would like to have volunteer to count the region’s homeless. To date, about 400 County employees have signed up for this year’s Point-In-Time Count, so 150 more people are needed to give their time Friday, Jan. 27 from 3:45 a.m. to 7 a.m. If you’re interested in volunteering, the deadline to register is 5 p.m. Friday, Jan. 13. Before you register, review the registration guidelines and FAQs and then obtain approval from your supervisor via the supervisor approval form. Once you complete your supervisor approval form, you can register on the WeALLCount campaign website. After you register, you will complete a short LMS training. The homeless count is so important, the Board has authorized employees to participate on paid County time. The results of the homeless count are used to apply for federal funding to help the homeless and find solutions on how to best serve this at-risk population. 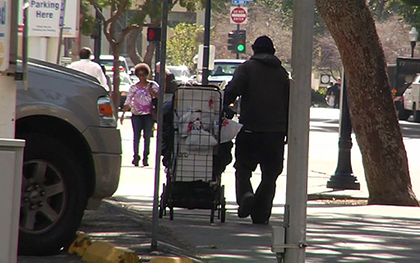 Last year, there were 8,692 homeless men, women and children in the San Diego region, the fourth largest homeless population in the nation behind New York City, Los Angeles and Seattle. Volunteers work in teams in specific locations and simply tally how many homeless people they see. Last year, the 497 County employees who participated accounted for about a third of all volunteers. Time is short, so if you are interested in participating, register for the count as soon as possible.